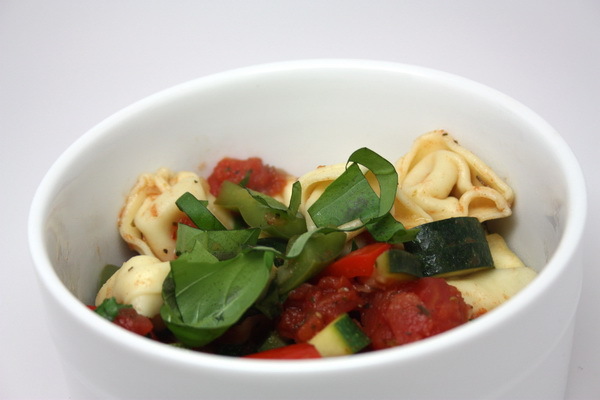 Tortellini are so versatile. And this is a great recipe to show off their cheesy goodness 🙂 The sauce is light and packed with healthy veggies. Cook pasta according to package instructions. Heat oil in pan and cook bell pepper and shallots in oil 4-5 minutes then add tomatoes, zucchini and seasonings and cover and cook 5 minutes. Finally add in tortellini and cook 3 minutes or until hot. 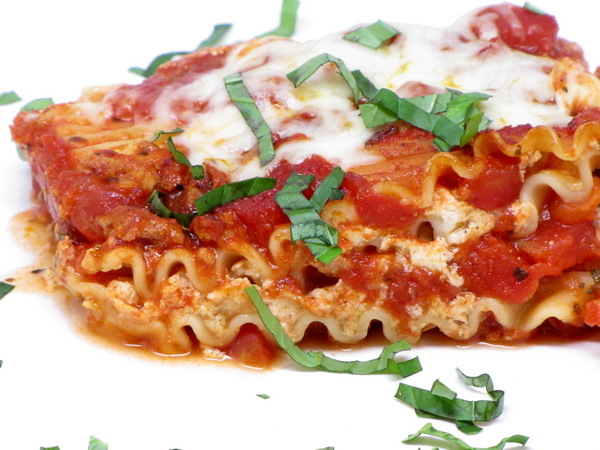 Top off the dish with some fresh herbs of your choice (basil and parsley do quite well). This is my ‘recipe’ for a salad that contains ‘everything but the kitchen sink’. Sometimes it’s the best unplanned dish of the week. By the end of the week I have a bunch of bits and pieces of veggies left over – so I use them all in a salad – whatever I have, it gets thrown in. And because the salad is so full of flavor from all the veggies, I use NO OIL. And that makes for one LOW CAL, LOW FAT salad ! 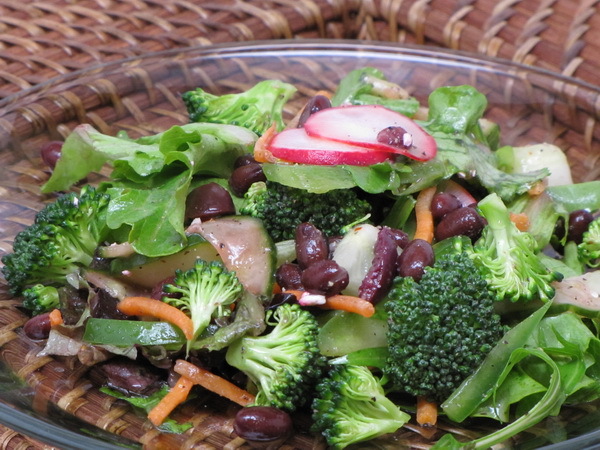 Sometimes I even put in bits of other prepared salads I had made – this picture shows a salad where I added in some left over cucumber and radish salad – and even some black beans. Try it – it makes salad eating so much more pleasurable ! Mix it all up and enjoy !